DA Bexley Move out and End of Tenancy Cleaning | Quality Property Care Ltd.
For an outstanding end of tenancy cleaning service, call 020 3746 4287 for Quality Property Care Ltd. and get your money’s worth. We work early mornings right up until late hours, all done by the best experts in the industry, armed with the finest equipment and detergents delivered by Prochem. There is always a preliminary assessment by the skilled end of tenancy cleaners. Specific service plan is needed. We offer particular rates for landlords and property agencies. The end of tenancy cleaning company Quality Property Care Ltd. demands that the renter has moved out all individual possessions before the end of lease cleaning can be completed. In order to assist the customers with that, the company also offers professional packing services and provides packaging materials for the belongings, and a man & van service, which can rapidly and conveniently move out all possessions, so that the cleaning can begin. Furthermore, clients can easily order out-of-doors window and gutter cleanup, garden maintenance, junk removal as well as handyman services. For landlords, property managers and real estate agencies, the company also provides a special pre-tenancy service as well as regular cleaning services. Quality Property Care Ltd. has been offering professional cleaning services to the residents and businesses of Bexley DA since 2005. One of the specialties provided by the trained and skilled cleaners is the move in and out cleaning service. End of tenancy cleaning is needed any time tenants are moving out of a residence or apartment they have been leasing. The property manager approves the cleaning and the condition of the property before giving the deposit back to the departing renters. 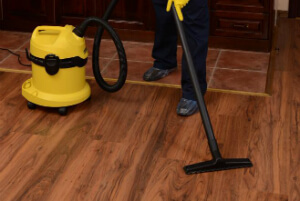 Our company has several years of experience of operating with the biggest agencies and property managers, and based on the expertise and the requirements of the property owners and administrators, has created a complete deposit back cleaning checklist for its cleaning groups. Don`t forget to make a an appointment for our excellent end of tenancy cleaning service. We now have special discounts on early booking! Receive a free quote today! Dial 020 3746 4287 right now - we are flexible and understanding and we will appoint you the service in a most convenient for you time!